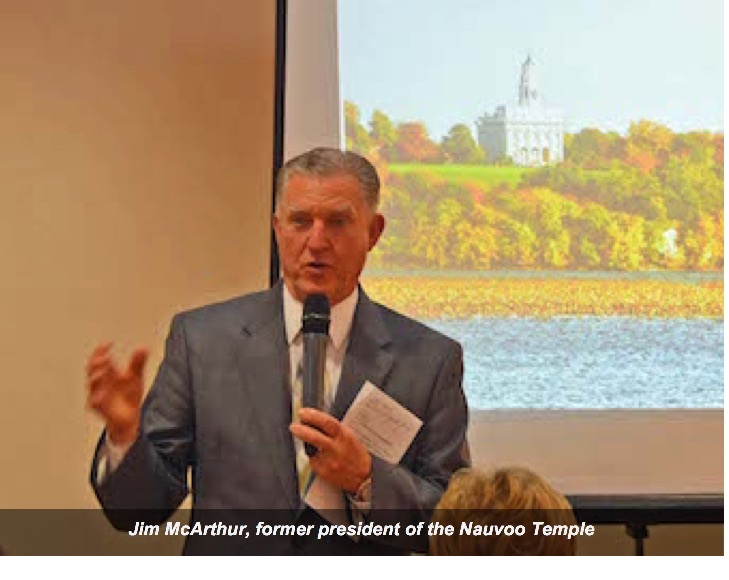 The Guest speaker for our February Dinner gathering was James McArthur, former president of the Nauvoo Temple, and his wife Denise. He shared many spiritual experiences surrounding the rebuilding of the Nauvoo Temple such as when descendents of William Weeks, the original architect of the temple, came to President Gordon B. Hinckley, shortly before the announcement of the rebuilding of the temple, and asked if they could donate to the Church the actual architectural drawings their great, great grandfather used to build the original Nauvoo temple. As a result, the modern Nauvoo Temple is a duplicate of the Original temple. 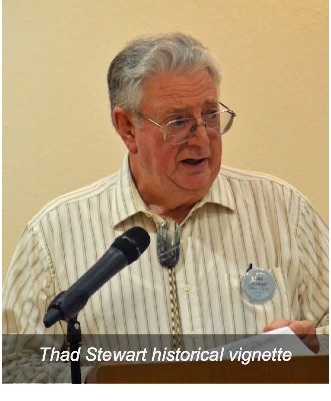 The present-day saints living in Nauvoo were told they were welcome to donate whatever monies they wanted to the rebuilding and were also told they would be allowed to work on the temple. They responded with willing hands, full hearts, and their pocket books.